The scene opens in a living room of a large, split level house belonging to a successful couple in their 40's. David is a stockbroker, a partner in a prestigious firm. Marcia is a homemaker and volunteers at the local library. Their son, Andrew, 20, after dropping out of college in his sophomore year, has worked at several jobs, never lasting more than a few months in any of them. He is presently unemployed and hanging out at home. David: Why didn't he go out on interviews this morning? We spent two hours marking job possibilities yesterday! He should've been on the 7:30 train! Marcia: Shhh. He'll hear you. David: So what? I want him to hear me. Let him see how I feel about all this. Marcia: He knows how you feel. Why does he have to hear you putting him down all the time? David: Putting him down? He's the one who puts himself down! When he dropped out of college, he said he'd do better in the business world. So why the hell can't he stick it out in any job? Marcia: He's just a sensitive type. It's hard for him to get along with some of those bosses. You're such a hot-shot businessman; why didn't you ever spend any time with him teaching him how to get along in the real world? David: Stop babying him, Marcia. Nobody ever taught me. He's got to learn how to manage out there for himself. It's time for him to grow up. Andrew: Quit defending me, Ma. I can talk for myself. Marcia: Were you listening to all this? Andrew: Yeah, I love listening to the two of you fight about me. David: Tell me, why the hell didn't you go out on the interviews?!! Marcia: Stop talking to him in that tone. He's not one of your employees. David: Face the facts, Marcia. Your son is lazy and you support it! At twenty years old, he should be either in college or standing on his own two feet, holding down a job. Marcia: My son!? Why is it that whenever he doesn't live up to your expectations, he's my son, and when he makes you proud, he's yours? Andrew: When have I ever made him proud? Dad, you want to know why I didn't go on the interviews? Because you chose them, not me. You didn't once ask me what I wanted. You never do. You're always deciding what's best for me. You didn't like the idea of my playing tennis so you pushed me to go out for baseball. You decided which college I should attend . It had to be a high-pressured place. The state school wasn't good enough for you. Now you're even deciding which job I should apply for. All you say is "This sounds good for you." What have you ever known about what's good for me? David: Don't blame me for your failures. Face it, you can't keep a job. When I was your age I didn't have a parent to fall back on. I paid my own way. Andrew: Yeah, and you've never let me forget it. Marcia (to David): David, you want him to be just like you. Some people take longer to find themselves. David: Bull!! He's lazy Maybe, if he were on his own, he'd start being responsible and productive! Marcia: What are you saying, David? That you want to throw Andrew out of our house? What kind of father are you? David: I'm a father who's tired of supporting him while he lays around all day. Marcia: If you throw Andy out, I'm going with him! Andrew: Don't drag me into your problems. You're always making me your excuse to attack Dad. If you want to leave him, do it for your own reasons. David: Marcia, don't get so melodramatic. Marcia: Melodramatic?! Easy for you to say! I'm not going to watch him fall on his face. David: He's on his face and it's your fault. You've always pampered him. He's never had to fend for himself. Let him move out and grow up! Marcia: So not only is our son a failure, but I'm a failure as a mother! I'm leaving. David: This is not about us. We're not the problem. He is. Where are you going? I'm not finished talking to you. Marcia: Well I'm finished talking to you. David: You're just like Andrew. Too much heat and you're out of here. Marcia: David, we're sick of your bullying. Maybe once he's away from you, he'll get his act together. Andy: Will you both just shut up. Get off my case and let me lead my own life. David: You want to lead your own life? Then support yourself!! Andy: Fine. You don't want a son anyway. You just want a clone of yourself. Now you two can find someone else to fight about. I'm out of here. What the hell's going on here? Both of them want to use me as the excuse. I don't accept it. You fail in life when you always look for other people to blame. Andrew's wrong. I don't want him to be like me. But I do want him to have an attitude of success. You make it in life when you realize that the buck stops here. I learned that lesson very early. I don't understand kids today. They want everything handed to them on a silver platter. They don't understand that you need internal fortitude to make it. You have to want something. I had a hunger in my stomach, I had desire. He wants me to do all the work for him. He says I always told him what to do. The fact is, he didn't know what he wanted, and he kept on asking me when he was young, Dad, tell me what I should do. I gave him every opportunity he could ever want. Nobody ever did that for me. I don't understand why Marcia blames me. She wanted me to be successful and she knew the price it would take. Now she's blaming me for not having been there to guide him. She can't have it both ways. If what she wanted was for me to be one of those stay at home father types, then she wouldn't have the beautiful house, the country club and all the other luxuries I've given her. What I'd like is some appreciation, not blame. Everything's falling apart and David's to blame. He's undermined all the support I've given Andrew and I can't forgive him for that. It's one thing if he's critical of me, but Andrew's another matter. David doesn't understand Andrew. I know him. Andrew is more like me. His interests are in art and music, something that David could care less about. The only thing David values is money. David wouldn't believe it, but I'd gladly give up much of what I have for a real relationship with him. But it's crazy for me to even think about it. David will never change. There's no chance he'll ever understand what either Andrew or I need. I hate to say it but I feel closer to my son than to my husband. That's why I know what Andrew needs. If David gets off his back, he'll find himself. Maybe, he won't turn out to be a super businessman like his father but I'm sure he'll be okay. Unlike David, I believe in Andrew. I can't stand it anymore. All they ever do is fight about me. They're both pulling at me. Dad clearly has no idea what I want, but the biggest joke is that Mom thinks that she does. I don't want her protection. I don't want her to fight my battles. She's done that all my life. How can I ever figure out what I want with the two of them always telling me who I am? I wonder what they would talk about with me gone. She thinks I'm this sensitive type and he wants me to be this macho businessman. I have no idea what I am. Whichever way I go, one of them won't like it. I gotta get away from them. It's the only way I'll ever make it on my own. Wow, now I'm sounding like Dad. Maybe he's right. Maybe I am just a loser and I can't do it. 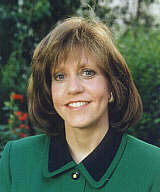 Sheryl Wachsman Prenzlau has written a number of works of fiction for WholeFamily.com under pseudonyms and she contributed to the first chapter of the original online version of The Affair. She says, "I draw not on my personal family experience in my writing, but from my observations of real life situations." Sheryl graduated from Queens College in NY with a BA in Psychology. She has edited an anthology of children's stories and published many children's books, including a five-part series, Bible Stories for Children. Sheryl has written first person stories for newspapers and magazines. She is married, the mother of two and the proud grandmother of a beautiful baby girl. Do you have an adult child living at home?